A series of interviews with hard working writers – by another hard-working writer! Aspiring writers often wonder how the pros got where they are. The truth is, everyone’s story is different, but there are some common elements: dedication, persistence, hard work and writing non-stop. 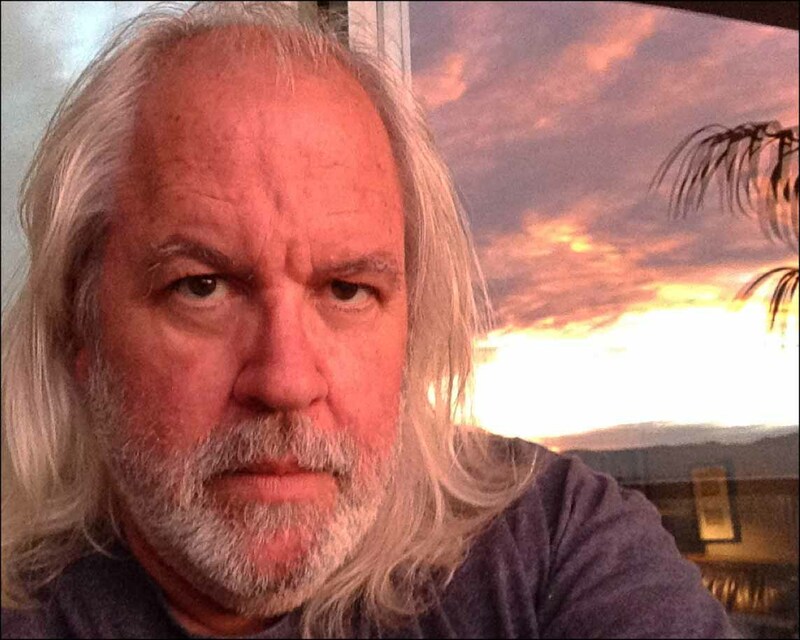 After 22 years of making a living as a benefits consultant, Daniel Knauf transitioned into a career as a professional writer, creating the HBO series Carnivale, writing for several TV series including Wolf Lake, My Own Worst Enemy and Dracula. This season, Daniel joins the writing team at NBC’s The Blacklist. WHEN AND HOW DID YOU FIRST KNOW YOU WANTED TO BE A WRITER? I don’t think I really decided to be a writer where I went, “Okay, well, I can make a living at this,” until Carnivale got picked up from the pilot. SO WHAT WAS YOUR FIRST SUCCESS IN THE INDUSTRY? I had a movie that I sold to HBO in ’93 called Blind Justice that got made with Armand Assante and Elisabeth Shue. It was a Western and I was a sort of a journeyman, typical low level feature writer, setting up deals, writing scripts and doing development. Nothing was really happening until I was about 40 and then I took one last hard shot at it. Of all things, I created a website and posted the first acts of everything I had. It was sort of an online resume which became kind of a proto-blog, I mean before the word blog even existed I was blogging about the trials and tribulations of being a less than successful screenwriter. Out of the blue I got a call from this guy named Robert Keyghobad. Robert was an assistant for Scott Winant who was an Emmy winning director. Scott had told him, “I’m tired of reading cops, doctors and lawyers. I want to see something different.” Robert found the first act of Carnivale online and asked me for the rest of it. I sent it out to him and met with Scott and his partner Howard Klein. We took it directly to HBO and sold it and it became a series. And so suddenly I was in the TV business. WHAT DO YOU LOOK FOR IN A NEW STAFF WRITER? I’m a big believer in the room and passion rules the day in the room. So I want somebody who is passionate, who is excited, who comes bursting with ideas and is positive. And that’s very important. In a way, if I had two writers and one was better than the other, one had turned in a better writing example, if they came in and they were kind of a drip or too full of themselves, I’d probably hire the person that had the weaker sample if they were just bursting with ideas and life. That’s important. WHAT’S THE MOST COMMON QUESTION YOU GET FROM ASPIRING WRITERS? Where do you get your ideas? I get my ideas because I’ve lived a lot. I have my kids. I supported a family of 5. I worked in a job that was almost deadening and soul crushing at a health insurance program for 22 years. My answer to them is don’t forget to live. Don’t forget to fall in love. Have your heart broken. Travel. Move around. Have a life. You’re storing up things. That’s how you fill the hopper up with things to write about and they’re going to be unique. Don’t sit there. I’ve been in rooms with writers and they go, “Oh, this is going to be just like that scene in Die Hard. This is going to be just like that scene in another film.” And they’re all constantly referencing movies. Stop that. Really. Do we want 18 versions of Die Hard? Really? WHAT ADVICE DO YOU HAVE FOR WRITERS TRYING TO BREAK IN? Focus on your craft. And focus on living. Nobody wants to read a carbon copy of a carbon copy. Don’t sit around and watch TV shows and movies. Live. I think the other thing is read a lot of poetry. Write poetry. When you’re doing scene descriptions and things like that, you don’t want to be directing on the page. You want to write economically evocative prose, that number one, helps sell the script and number two, helps people envision what’s happening. Doing that isn’t describing exactly what happens in a very specific way, but sometimes in a very poetic way. So I think poetry is important, but the most important thing for a dramatist is finding a good acting coach or finding a good acting class. Study acting because it has an affect on how you write characters, how you create a voice for a character and a characters’ point of view.